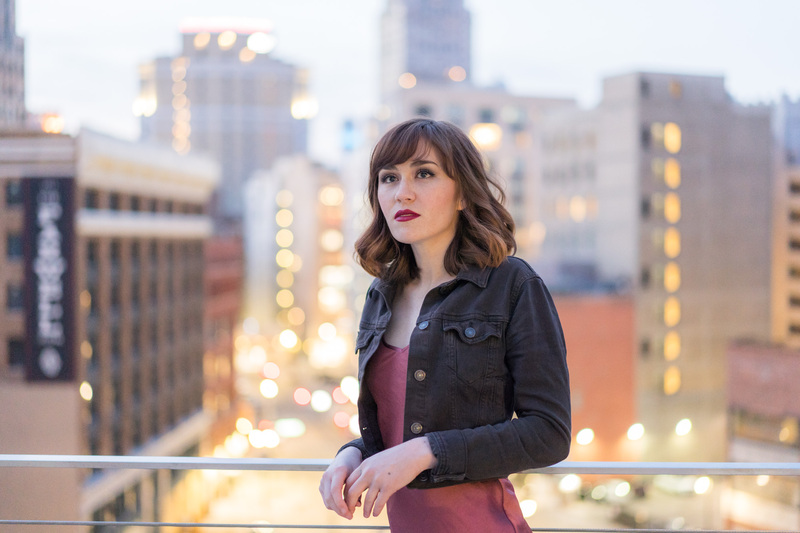 Olivia Millerschin will headline a Saturday show at Detroit Masonic Temple’s Chapel theater. Olivia Millerschin will travel back in time Saturday night. The Auburn Hills indie folk singer-songwriter will play for 400 people at The Chapel, a historic theater located inside the Detroit Masonic Temple that’s designed as a smaller scale replica of Westminster Abbey. During Saturday’s show, Millerschin will breathe new life into the historic venue and perform a set of timeless heartfelt songs from her critically-acclaimed 2016 album, “Look Both Ways.” She’ll also debut seven or eight new songs and feature special guest performances from Ann Arbor folk singer-songwriter Chris DuPont and Nashville pop singer-songwriter Jilian Linklater. “I’ve got tons of new music, and I’ve been so focused on the children’s book that I haven’t recorded it. It will be cool to debut it live in front of people and see what they think of it,” said Millerschin, who grew up in Rochester as a classically trained opera singer and started writing songs at age 13. [/caption]As part of her set, Millerschin will share one her newest songs, an introspective ballad called “Cactus on a Ledge,” which also doubles as the title of her new children’s book. Millerschin wrote the song about a cactus who wants to become a tree, but later realizes it’s cooler to be herself. Another sonic gem in Millerschin’s Saturday set will include “BrickStory,” which was inspired by a Detroit-based startup of the same name that’s committed to preserving and sharing the stories and images of every American home. The song will be featured in the upcoming pilot for the show, “BrickStory – American Neighborhoods,” to showcase Detroit’s Corktown neighborhood. To support Millerschin’s Saturday show, the BrickStory.com team is donating $5 per ticket from the remaining ticket sales to support Working Homes/Working Families, a Mitch Albom charity that refurbishes empty homes in Detroit for families who lack adequate housing. [/caption]Millerschin also will revisit songs from her second full-length album, “Look Both Ways.” The beautifully crafted album gently tugs at the heartstrings with clever lyrics, haunting melodies and colorful folk, pop and soul elements. Produced in Brooklyn and Detroit, the album mirrors the grit and hopefulness of both cities and reflects her quest to “look both ways” as she relishes the good while proceeding with caution in a complex music industry and world. While Millerschin is proud of her previous musical work, she’s thrilled to share her latest material through an upcoming five-song EP next spring. The new material will land somewhere in between a light-hearted and serious artistic tone. Great story! Makes me want to attend the show even more. If only I could. Thanks, Mark. I’ll be there. I can’t wait to see performances from Olivia, Chris and Jilian and check out the venue. I will take pictures and share them after the event.